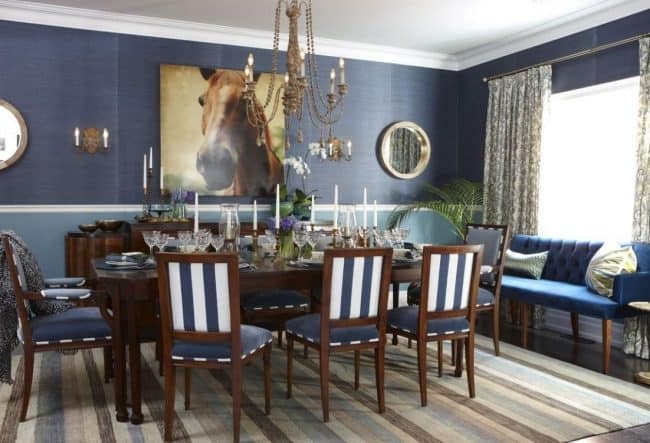 The dining room is the space in which one shares meals with family, friends, birthday celebration, among other various experiences that occur daily in a home. The color used to decorate it varies according to the tastes of the people and the fashion trends of the time. 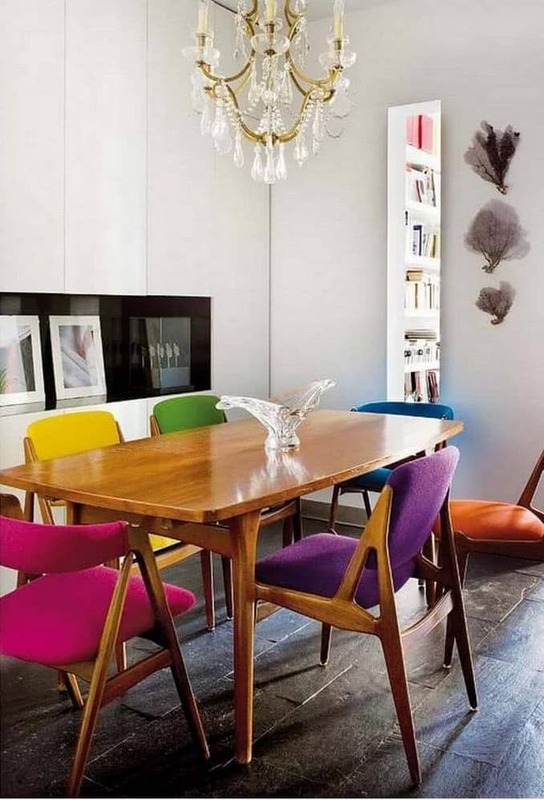 That’s why we’ll show you a lot of colorful ideas for dining room, so you can be inspired and choose yours. 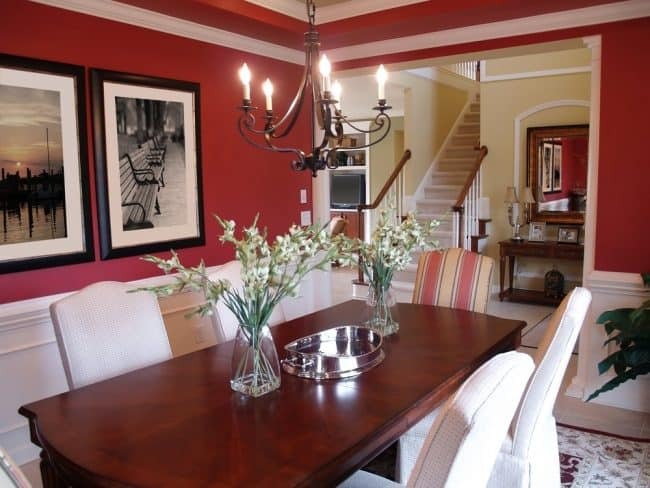 The colors of the painting that are trend can transform any dining room into a fabulous space. The color with which we decorate our home can transform everything from rooms to moods, including the sale price of the property. Deciding which tone to choose among the endless possibilities can be daunting. That’s where the color forecasters come in. Employed by many fashion and decoration brands, forecasters travel the world in search of emerging trends in design and culture. Sincerity The soft sandy tones and muted grays hint at the tranquility of a cloudy day on the seashore, while misty greens and roses are meant to refer to a healthy life. Sincerity is about conscious life and the creation of an environment to disconnect and recharge. Affinity. Countering the sincerity tones that induce Zen, the palette of affinity is a reflection of the love to travel, experience new cultures and connect with new people. Inspired by the colors found in indigenous patterns and crafts from around the world, the palette is full of energizing tones of indigo, fuchsia and blues, with touches of tans and browns. Connectivity. In the era of those obsessed with screens, the colors that reflect the technological culture are increasingly sought after. The tones of this palette, inspired in part by the experience of virtual reality, include watery blues, deep purple and warm yellows. Combine them with muted neutrals, such as soft gray and white, to obtain a modern touch of color that does not overwhelm. Known as “global color authority”, the Pantone Color Institute announces each year what colors will be the latest trends. Another outstanding trend will include a movement towards intense colors instead of cakes. “Intense colors seem to accompany our intense lifestyles and thought processes these days,” he said. Greenery Vegetable colors such as celery are combined with purple berries and blue, a symbol of health. Playful Think of the Minions. 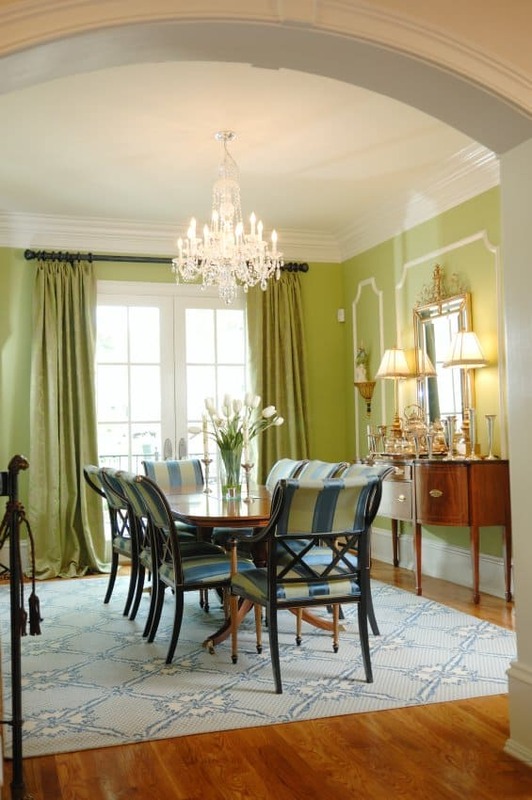 Bright yellow, lime and all the fun colors come together for this color scheme. Discretion. The alter ego of the playful paddle. Subtle tones offer a feeling of strength. “The color pink has developed more power than ever,” said Eiseman. Extraordinary Warm and earthy tones are mixed with pink tones, this palette “extends and embraces many different cultures,” said Eiseman. Intricate. A palette of metal (also known as the “new neutrals”) with dramatic accents of sulfur, red and bluish. 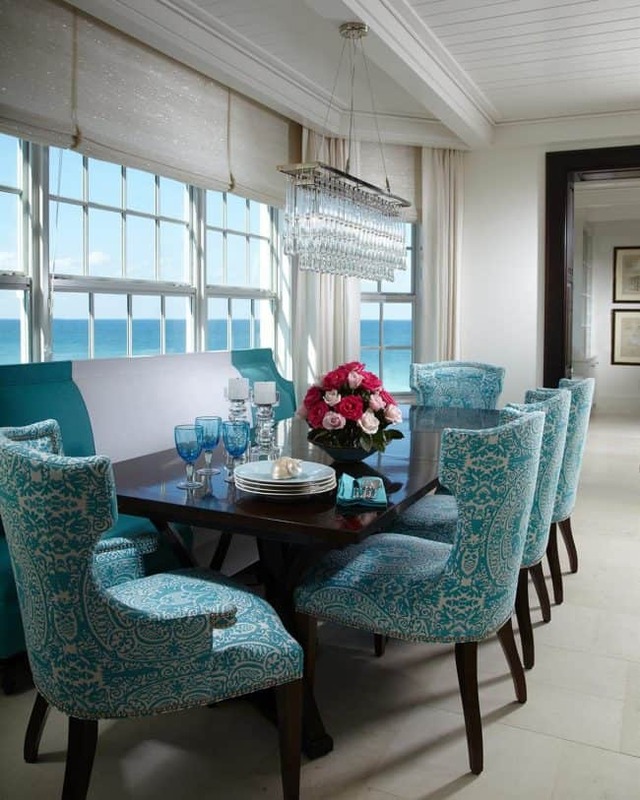 The bursts of color mixed with metallic reflections add glamor. Intensity. 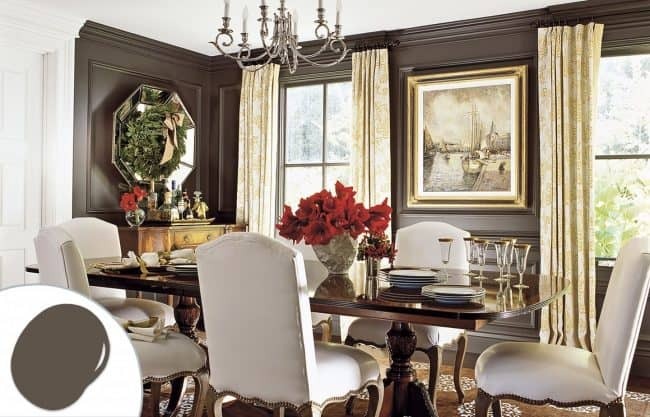 This is an eclectic mix of deep and bold colors that evokes a feeling of strength, power and sophistication, all balanced with black and gold. Technique. Turquoise, pink and bright purple colors, combined with white and almond. This palette has to do with shades “that seem to shine from within,” Eiseman said. 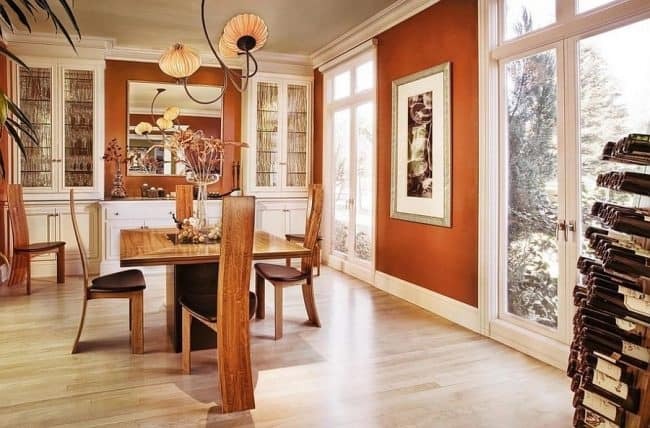 Different shades of brown can be used not only on furniture, as is often done, but also on walls. 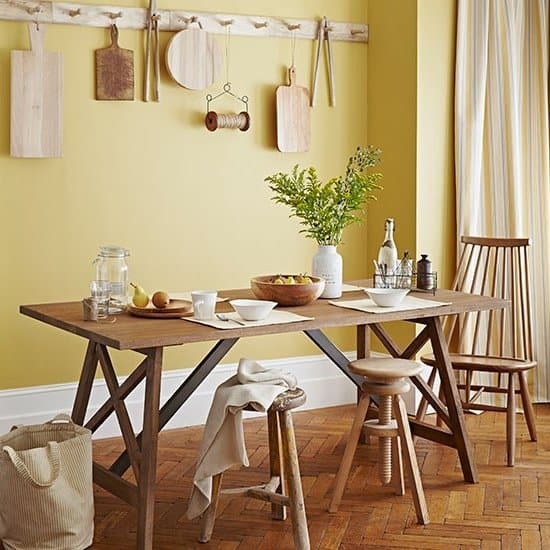 It is advisable to combine it with white or pale yellow, to give luminosity to the space. 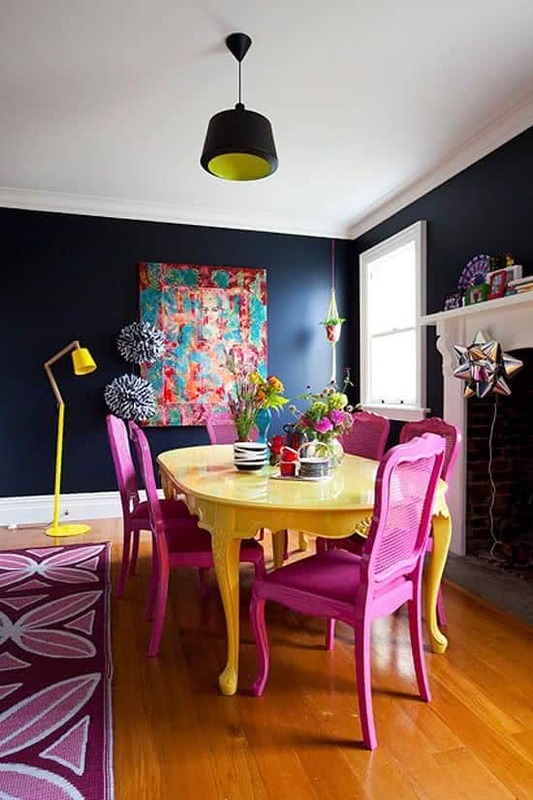 The colors that do not fail, for those who seek to create a warm and cozy dining room, are red and purple; these mixed in different parts, in combination with wood are very good as a whole. For its part, the color gold has taken force in recent times; It gives a very elegant impression in tune with wooden floors and white ceiling. 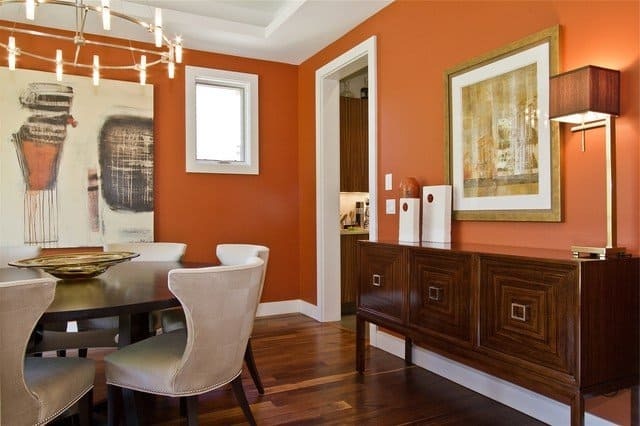 The orange caramel color works very well in the most modern rooms, with pure lines. It combines very well with wood. This color looks very well combined with white, with browns and beiges. 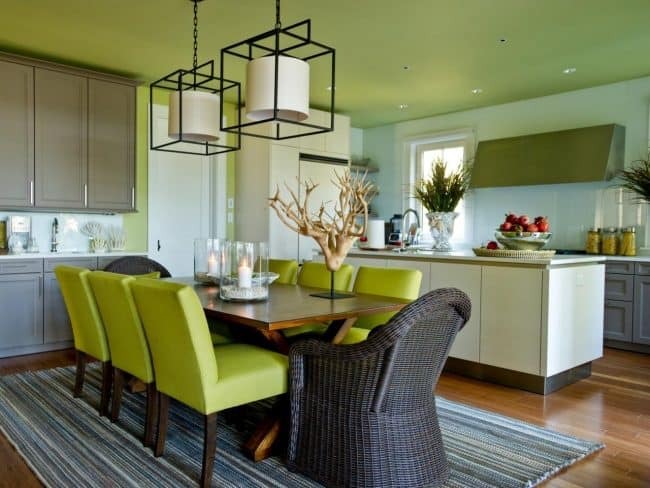 This color full of freshness any type of room. It looks very well combined with yellow or gray. Combined with clean white tones, it makes a very cozy space. The nuances of velvety blue-violet give a very elegant look. When this deep hue is combined with light-colored furniture and ebony wood floors, as shown here, you can turn an informal space. Light blue and dark brown are a proven and very effective duo. This green color between the olive emerald, provides a very natural space for a space in which people want to relax. It looks fabulous combined with both pale and dark colors. It is gray color can be perfect as a backdrop to highlight furniture and accessories of striking colors. A very typical style, although a little cold, is that of the predominance of gray, with many furniture, utensils and ornaments in glass, where the dark blue acts accentuating the different arrangements.